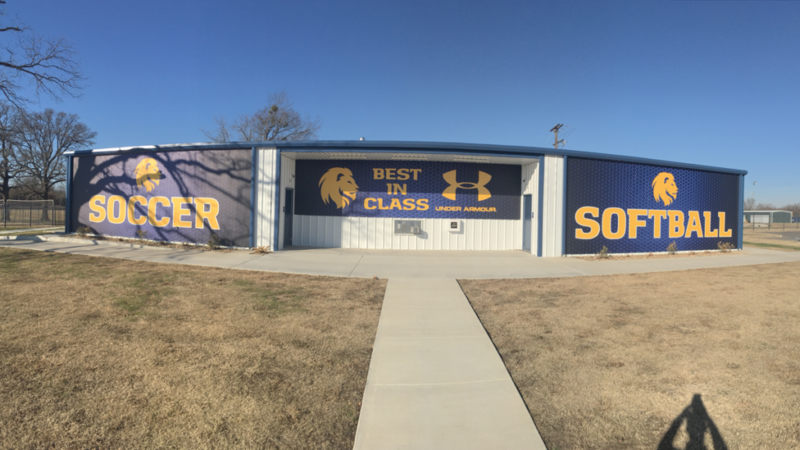 Our Lion Athletics family –coaches, administration, campus partners, current LCF donors, season ticket holders, faculty, staff, students, community and TAMUC alumni – are empowered with our department’s mission to provide and represent a “Best in Class” experience for our talented 436 student-athletes. The Lion Champions Fund allows us to provide this vehicle for excellence in the classroom, in competition, and in critical life skill development. Without the support of Lion Champions Fund donations, our success would not be possible. Our competitive success has never been more evident, with our FIRST NCAA Division II Football National Championship. It was also our first NCAA team championship in our storied history. In addition to our team bringing the pinnacle trophy home, we were also the first institution in NCAA history to sweep football’s “Triple Crown” – National Champions, Harlon Hill Award winner (quarterback Luis Perez), and the NCAA Elite 90 Award (linebacker Garrett Blubaugh), given to the top-ranked student-athlete competing in each of the NCAA’s 90 championship events. Garrett currently has an almost perfect GPA in Biology/Pre-Medicine. Among other program highlights, volleyball ended their season with the first NCAA tournament appearance since 1988, and Track and Field claimed three individual national champions this year – with DeVontae Steele in the men’s indoor triple jump, Florian Obst in the men’s outdoor decathlon (repeat champion), and our men’s indoor 4x400m relay. This spring, we achieved two significant milestones – with softball claiming their first regional championship in program history, and men’s basketball winning their first NCAA tournament game since 2005. Most importantly, we witnessed tremendous success in the classroom this past year with a 3.19 cumulative grade point average, a successful Lion Leadership Academy launch, and 4,989 hours of community service completed among student-athletes and athletics staff. 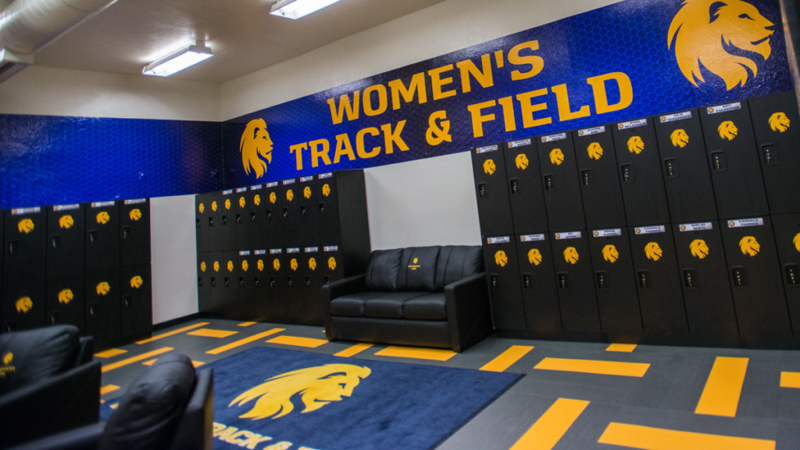 Our academic achievements, leadership programming, and community involvement are a direct reflection of the importance placed on our James Thrower Student-Athlete Success Center, which was made possible by Lion Champions Fund Support. 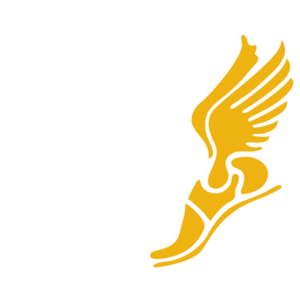 Though our philanthropic support has grown and is celebrated, you will see that we still have historical financial challenges that need to be conquered in order to maintain our current level of success academically and athletically. The following information outlines the difference that your gift of any size will continue to make in the development of our “Best in Class” vision for our student-athlete experience. The choice to make a gift to the Lion Champions Fund is an investment in the lives of our student-athletes that will pay dividends in their lives and all of our communities. 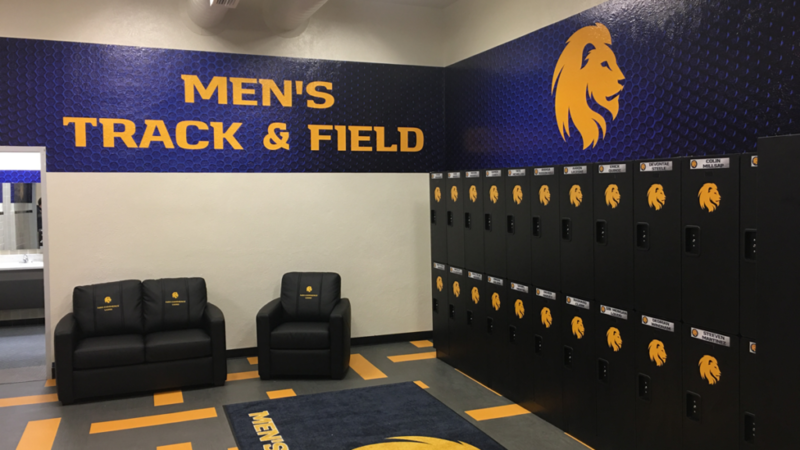 We thank you for your interest in financially supporting YOUR Lions, and choosing to invest in our student-athletes! “At A&M-Commerce, we are dedicated to providing an experience that both educates students and prepares them for a successful career. The Lion Leadership Academy and Responsible Lions are two groups that serve as models for the kinds of programming that we want to have available for our students. Although we have made fantastic strides in philanthropic support over the past year, we are still behind our competition. Growing support through the Lion Champions Fund remains our number one priority. These funds allow our student-athletes and coaches to compete at the highest levels academically, athletically, and in serving our communities. On the field, the Lions have had unprecedented success in recent years in spite of operating, recruiting, and travel budgets that are much lower than our competition both in the Lone Star Conference and across the country. Our student-athletes and coaches need your help to continue to achieve at the highest level. The best way to support Lion student-athletes is through a generous contribution to the Lion Champions Fund. 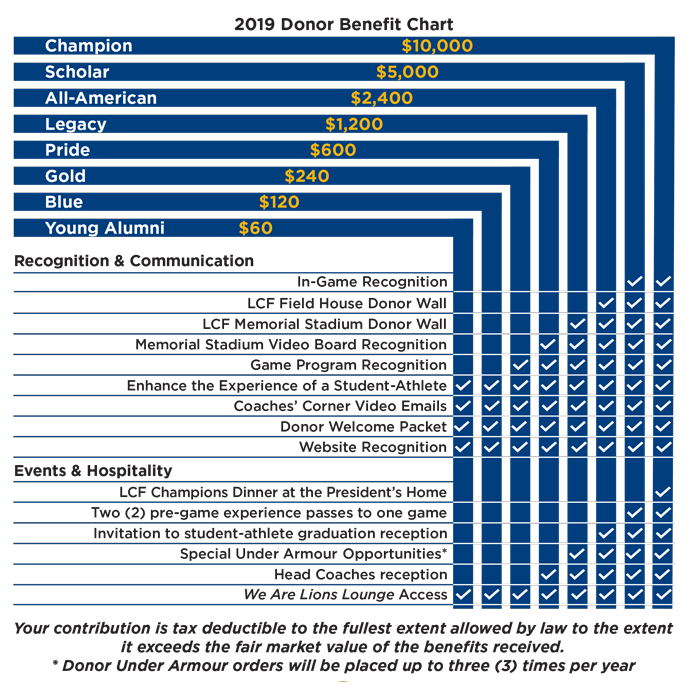 A Lion Champions Fund donation is not only an investment in our student-athletes, but also gives you the opportunity to enjoy some exclusive benefits. To make an easy safe donation like through our online Giving Page! Checks can be mailed to the Lion Champions Fund at P.O. Box 3011, Commerce, TX 75429 or we can take a credit card payment over the phone by calling 903.886.5554. Automatic payment plans are an easy way to split your gift into smaller payments. To set up a personal plan please contact the Lion Champions Fund Staff by calling 903.886.5554. Many employers match charitable contributions made by their employees. If your company has a matching gift program, request the appropriate form from your employer and send it in with your gift. 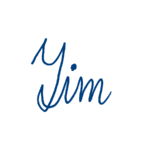 In some situations, gifts or goods/services will be accepted in lieu of a cash contribution. 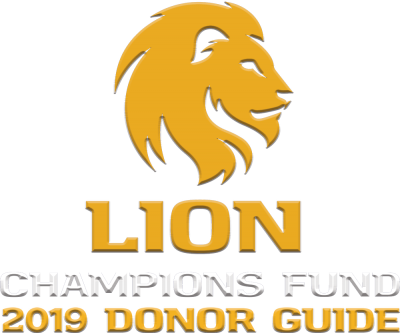 All gifts-in-kind must be approved by the Lion Champions Fund.